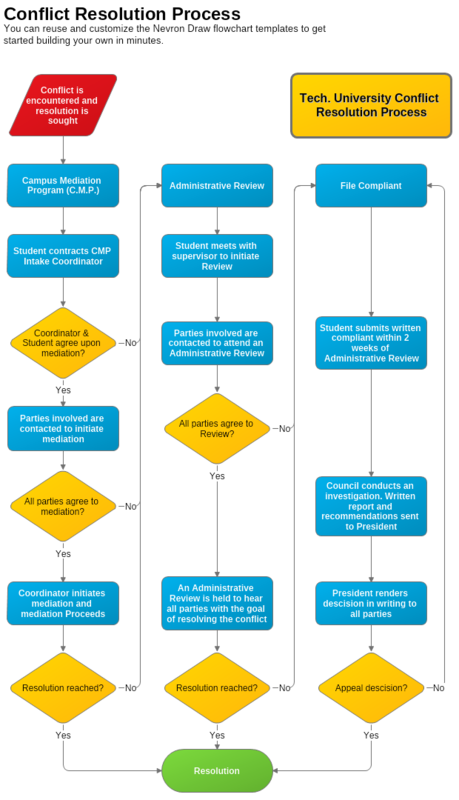 Flowcharts can be also used for describing a conflict situation and finding the process that leads to resolving it. A resolution can be reached much easily when describing the problematic aspects of a specific situation along with the steps that can help finding a solution by following a logical order. The Conflict Resolution Process flowcharts are very useful especially in customer service departments, as they can insure that each and every issue is treated equally well by the employees of the company.